Aspiring Zanu-PF Member of Parliament for Highfield East, Mike Taka Mashonganyika has promised to install wireless internet connection (WIFI) points in his constituency as part of embracing technology and modernisation. Speaking to 263Chat on the sidelines of a campaign rally in his constituency yesterday, Mashonganyika said for a long time, better internet services were being afforded to people in the affluent suburbs while those from the “ghetto’ were left in the cold. “As a person who grew up in this area, I know all the problems that these people go through. For a long time now, their problems have not been listened to. Noone has set down with them and hear them out. “If you look at the issue of WIFI, it has been something that has benefited people in the Northern suburbs while this side people have to wrestle for the little signal that is sometimes available. “So today, I’m installing 10 WIFI hotspots which I will personally pay for from today till forever,” said Mashonganyika. He noted that aspiring young people in the area have for long lacked financial capital to start their projects which has led to massive unemployment. “If you ask these young people they will tell you that they lack the capital to start their business or to continue family businesses despite being in possession of title deeds. I know all these problems because I faced them when I was starting my own businesses. It is something that I’m willing to address once elected as an MP for this area,” noted Mashonganyika whose campaigning theme is “Politics and Business” which he says complements President Emmerson Mnangagwa’s “Zimbabwe is Open for Business” mantra. 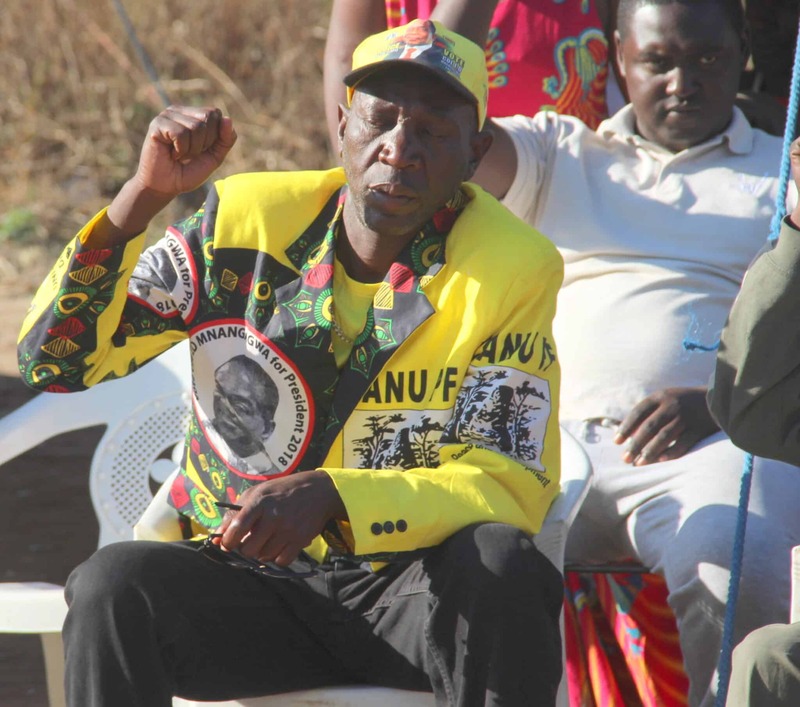 Zanu-PF Harare Province Youth League Secretary For Legal Affairs, Goldwin Mavesera, however, warned the aspiring MP that should he not own up to his promises, the youth league will advocate for his recall from parliament. Meanwhile, Zanu-PF’s aspiring Councillor for Ward 24, Nicola Mutasa, lashed out at the poor service delivery at the hands of the in Highfield and promised to change the culture once elected. Zimbabwe will go to polls on 30 July which will usher in a new government.